Are you on the market for truly dynamic decorating services Winchester customers are going to love? If that’s correct, then you’re definitely in the right place. Acorn Builders is renowned in the area for offering a comprehensive service at an affordable price. Call us today on 02380 243 336 to discuss your project in some more detail and get a free estimate! Here at Acorn Builders, we have the skillset to increase the appearance as well as the value of your property, whether it be a private residence or a commercial building. Keep reading below to find out more about what makes us the leading choice for decorating services Winchester has ever had available! Do you think that it’s time to upgrade the look of your commercial property? Whether you are looking for some intricate decorative effects indoors like specialist wallpapers, or a traditional paint job, we have got you covered. In the past, we have taken on jobs of all sizes, so you can rest assured that there is no request that we can’t handle. Not only that, we are used to working to tight deadlines and can start our decorating services in Winchester with a very short notice period. At Acorn Builders, we understand that business downtime costs money. This is why we also work outside of normal business hours as well as during the night. We want to make sure that there’s as little disruption to your business as possible. Acorn Builders can decorate a single room, the entire house or just do one part of the work alongside contractors that you have already hired. From wall coverings to internal and external plastering, we can do it all. Why Choose Us For Your Decorating Services In Winchester? Formed by Darren Cunliffe in Waterside, Acorn Builders has gone from strength to strength since its founding. Darren possesses more than 25 years of experience that he has passed onto his dedicated team of painters and decorators in Winchester. We take great pride in the quality of our work, with each team member possessing a genuine passion for what they do. We are fully backed up by insurance and we maintain high standards of health and safety at all times. Another thing that we find very important is ensuring that our customers get the absolute best value for their money. You will find our rates for decorating services in Winchester to be highly competitive and market appropriate, with no hidden fees and added extras to worry about. It makes us very proud that the majority of our new work comes to us via recommendations and word of mouth from existing customers. Look no further for the most comprehensive decorating services in Winchester clients will vouch for! 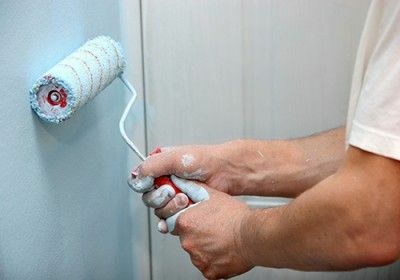 Our painters and decorators in Winchester always take numerous photographs at each worksite that will perfectly demonstrate their skillset and capabilities. You can browse through these high-quality images in our online gallery. To contact us, give us a call on 02380 243 336, email your details over to acornbuilding@gmail.com or fill in our online form with some more information. We’ll get back to you shortly and you’ll never have to look up “decorating services Winchester” again!